Providing you the best range of cable assembly accessories for military equipments with effective & timely delivery. Cable Assembly Accessories for Military Equipments, is made for military. 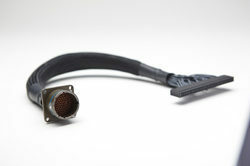 Looking for Cable Assembly Accessories for Military Equipments ?